Deal 75 True Damage to target enemy drone or creature and you are healed for 50. Environmental objects can also be targeted and are destroyed after healing you. Deal 40 Power Damage to all Champions and drones near target enemy drone, creature or environmental object. Creatures in the area (including the one targeted) are dealt 160 True Damage instead and environmental objects are destroyed. Heal yourself and nearby allies for 50 Health. Further Healing Waves within 30 seconds will have their effectiveness reduced by 50%. Gain a Shield that blocks 60 damage for 2 seconds. Drop a meteor on the target location, dealing 60 Power Damage in an area around it. The meteor persists for 120 seconds as a Small Environmental Object. Places a 35% slow on a target enemy for 2.5 seconds. Gain 20% Move Speed and move through enemies for the next 4 seconds. Super Strength allows your Champion to pick up and throw Environmental Objects. Pick up Large Object: Throws the object, dealing Attack Damage and Slowing enemies in an area. Pick up Small Object: Throws the object in a line, dealing 80 Attack Damage to the first enemy it hits, and knocking them up. Gain 3 charges that are spent to place Stealthed Surveillance Cameras that grant vision in an area around them for 180 seconds. Up to 2 Surveillance Cameras may be on the battlefield at once. Charges are refilled automatically upon returning to base. Target an allied Turret, Drone, Surveillance Camera or Control Point with no contesting enemy Champions, and blinks to it after 4 seconds. Cooldown is reduced if teleporting to a Turret or control point. Gain 3 charges that are spent to place Traps (2 seconds to prime) that last for 45 seconds and are triggered by the next enemy Champion to step on them. They will be Rooted for 1.5 seconds and revealed for 5 seconds. Up to 2 Traps may be on the battlefield at once. You regenerate a new Trap every 45 seconds or by returning to base. Enhanced stolen powers are earned on a per-champion basis: each time you reach level 5 with a particular champion, you unlock their unique enhanced power for the rest of your champions. Alternatively, you can head to the store to unlock enhanced powers. Aquaman's Super Strength grants your Champion Move Speed after throwing an Environmental Object. Large Object: Throws the object, dealing Attack Damage and Slowing enemies in an area, and gains Move Speed for a few seconds. Small Object: Throws the object in a line, dealing Attack Damage to the first enemy it hits, Knocking them up, and your Champion gains Move Speed for a few seconds. Arcane Green Lantern's Healing Wave grants increased Power Armor and Attack Armor to you and nearby allies. Heal yourself and nearby allies for 50 Health. Further Healing Waves within 30 seconds will have their effectiveness reduced by 50%. You and nearby allies also gain 10 Power Armor and Attack Armor for 3 seconds. The damage dealt by Arcane Supergirl's Meteor Drop is increased by 1% for every 2% of health that the target is missing. Atomic Green Lantern's Consume increases your Champion's Move Speed. 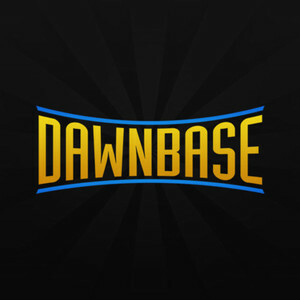 Deal 75 True Damage to target enemy drone or creature and you are healed for 30 and gain 12.5% Move Speed for 3 seconds. Environmental objects can also be targeted and are destroyed after healing you. Atomic Joker's Detonate has a shorter Cooldown. Atomic Wonder Woman's Super Speed allows your Champion to deal Attack Damage to enemies they move through. Gain 20% Move Speed and move through enemies, dealing Attack Damage when you pass through them for the next 4 seconds. Atrocitus' Meteor Drop slows enemies struck. Drop a meteor on the target location, dealing Power Damage in an area around it, and slowing enemies' movement speed by 20% for 4 seconds. The meteor persists for 120 seconds as a Small Environmental Object. Batman's Trap reveals and roots enemies for a longer duration. Gain 3 charges that are spent to place Traps (2 seconds to prime) that last for 45 seconds and are triggered by the next enemy Champion to step on them. They will be Rooted for 2.5 seconds and revealed for 10 seconds. Up to 2 Traps may be on the battlefield at once. You regenerate a new Trap every 45 seconds or by returning to base. Blue Beetle's X-Ray Vision grants 30 Credits and reduces cooldown by 5 whenever he kills a Surveillance Camera. For 8 seconds, your Champion has increased vision range, can see enemies in Stealth or on stealth pads, and can see through walls. Catwoman's Teleport has a reduced Cooldown. Doomsday's Invulnerability has a stronger Shield. Gain a Shield that blocks 75 damage for 2 seconds. Flash's Super Speed allows your Champion to move even faster. Gain 25% Move Speed and move through enemies for the next 4 seconds. Gaslight Batman's Surveillance Camera has increased sight distance. Gaslight Catwoman's X-Ray Vision has a longer vision range. Gaslight Joker's Meteor Drop applies Wounding (-50% healing received) to targets in the area. Drop a meteor on the target location, dealing 60 Power Damage in an area around it, and applying Wounding (reducing enemies' healing by 50%) for 10 seconds. The meteor persists for 120 seconds as a Small Environmental Object. Green Arrow's Surveillance Camera can see through Stealth for a few seconds, but has one less charge. Gain charges that are spent to place Stealthed Surveillance Cameras that grant vision in an area around them and can see through Stealth for a few seconds. A limited number of Surveillance Cameras may be on the battlefield at once. Charges are refilled automatically upon returning to base. Green Lantern's Meteor Drop scales with Power Damage (35%). Drop a meteor on the target location, dealing 80 Power Damage in an area around it. The meteor persists for 120 seconds as a Small Environmental Object. 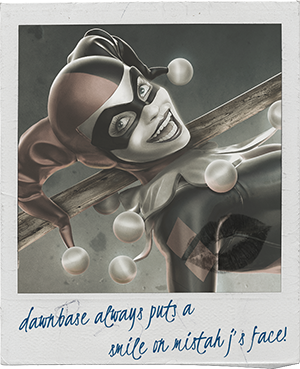 Harley Quinn's Detonate deals additional Power Damage to enemy champions and drones. Deal 60 Power Damage to all Champions and drones near target enemy drone, creature or environmental object. Creatures in the area (including the one targeted) are dealt 160 True Damage instead and environmental objects are destroyed. Hawkgirl's Super Speed allows your Champion to gain a longer Move Speed bonus for each Basic Attack. For the next 4s, you gain 20% Move Speed. During this duration, your Champion gains 0.5s for each Basic Attack while Super Speed is active, up to a maximum of 3s, and may move through Champions. Joker's Detonate reduces the Move Speed of all targets within the area. Deal 40 Power Damage to all Champions near target enemy drone, creature or environmental object. Drones and creatures in the area (including the one targeted) are dealt 160 True Damage and environmental objects are destroyed. All targets hit also lose 15% Move Speed for 3 seconds. Katana's Invulnerability grants Attack Reflection and Power Reflection as long as the Shield is active. Gain a Shield that blocks 60 damage for 2s. As long as the Shield remains active, you will be granted 5% Attack and Power Damage Reflection. Krypto's Healing Wave applies an additional heal over time to those healed. Mecha Superman's Consume restores more Health based on your bonus health. Deal True Damage to target enemy drone or creature and you are healed. Environmental objects can also be targeted and are destroyed after healing you. Mecha Wonder Woman's Trap primes faster. Gain 3 charges that are spent to place Traps (1 second to prime) that last for 45 seconds and are triggered by the next enemy Champion to step on them. They will be Rooted for 1.5 seconds and revealed for 5 seconds. Up to 2 Traps may be on the battlefield at once. You renegerate a new Trap every 45 seconds or by returning to base. Nightmare Batman's Consume restores bonus Health. Deal 75 True Damage to target enemy drone or creature and you are healed for 45. Environmental objects can also be targeted and are destroyed after healing you. Nightmare Superman's Teleport provides 5 Power Damage for 5 seconds after a successful teleport. Target an allied Turret, Surveillance Camera, drone, or control point (if uncontested) to blink to it after channeling for a short time. Cooldown is reduced if teleporting to a Turret or control point. Poison Ivy's Healing Wave grants increased Attack Damage and Power Damage to you and nearby allies. Heal yourself and nearby allies for 50 Health. Further Healing Waves within 30 seconds will have their effectiveness reduced by 50%. You and nearby allies also gain a 10 Attack Damage and 10 Power Damage increase for 5 seconds. Shazam's Invulnerability restores health as long as the shield is active. Gain a Shield that blocks 60 damage for 2 seconds. As long as the Shield remains active, you will be healed 25 Health over 2 seconds. Sinestro's Psychic Assault reduces the target's Power Armor as well as slowing. Target enemy Champion loses 35% Move Speed for 2.5 seconds, and reduces Power Armor for 8 seconds. Star Sapphire's Psychic Assault reduces incoming healing as well as slowing. Places a 35% slow on a target enemy and reduces incoming healing by 50% for 3 seconds. Stargirl's Consume grants Power Damage while on Cooldown. Deal 75 True Damage to target enemy drone or creature and you are healed for 30. Environmental objects can also be targeted and are destroyed after healing you. 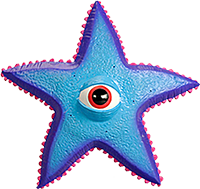 Starro's Psychic Assault reduces Attack Damage as well as slowing. Target enemy Champion loses 35% Move Speed and 10 Attack Damage for 3 seconds. Supergirl's Invulnerability grants bonus Attack Damage as long as the Shield is active. Gain a Shield that blocks 60 damage for 2 seconds. As long as the Shield remains active, you will be granted bonus 10 Attack Damage. Superman's Super Strength grants your Champion Attack Damage while Super Strength is on cooldown. Large Object: Throws the object, dealing Attack Damage to enemies and turrets in an area. Small Object: Throws the object in a line, dealing Attack Damage to the first enemy it hits, and Knocking them up. Swamp Thing's Consume grants credits when used.